Having practiced yoga myself for 21yrs, taught yoga for 12yrs and now training others to teach children’s and young people’s yoga (www.yogakidzworldwide.com). I have seen and experienced the amazing rewards it has to offer for all ages, but especially in children. The world is changing at a quickening pace, which leaves many behind. There is a move towards a change in consciousness, and society has to be prepared to be more open to it. For us to cope with all these changes we need to have our optimum health and fitness – in our bodies, our emotions, our mental states and in our spirit. Now more than ever is an important time for all of us to slow down a little and take conscious action (mindfulness) rather than rushing around and become the change we would like to see in this new world. 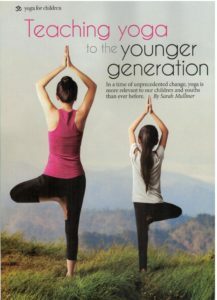 The idea of teaching yoga to young people is to begin health and fitness education at grass roots – to show children not only how they can use the natural tool they were born with; their body and breath, in order to maintain their health and aid their development into young adults, but also to provide them with the tools to deal with the issues they may face growing up. With the change in consciousness developing, it is vital that children have the option of being as healthy and as fit (holistically) as possible. Yoga can help a child understand their individual development needs; physically, mentally, emotionally and spiritually (and so they will help and support others in their development). Yoga practices and disciplines may help a child to develop better body awareness, self-control, flexibility and coordination. These children can then carry their new found skills beyond class and into their daily routines (and get their parents to do it too!). Yoga can also help a child to feel secure when the world around them seems scary and difficult to understand. Seeing very hyperactive children become so much calmer and more in control of their actions is so rewarding. All children just love challenging themselves physically and mentally. It is so beneficial for children as it helps to keep them supple (even sporty children can struggle to touch their toes) while the breathing techniques I teach can improve their concentration and energy levels. I do believe that it helps a child to cope with the pressures and stresses of family and school life, such as exams or performances. For those children that are less inclined towards the more competitive sports, yoga is a perfect choice to make. Children today are under a lot of stress; homework, pressure to compete with other children (sport and academically), endless after-school activities, over-scheduling — it all adds up. 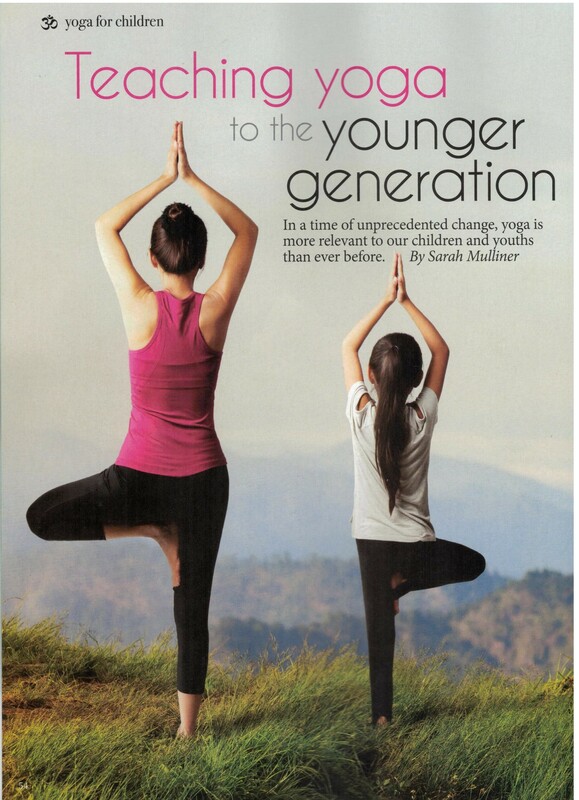 And just like their parents, children today are starting to turn to other modalities like Yoga to help them relax. It is less demanding on the physical body than many other sports and is very calming for the mind and emotions.